Why should we encourage generics to challenge pharma patents? How absurd is it that those who question the need for incentive to innovate are so eager to provide incentive to challenge patents? Hatch-Waxman has since 1984 defined a delicate, if sometimes byzantine dance between brand name pharmaceutical patent owners and generics wishing to challenge patents ostensibly for the right to enter the marketplace. In reality, Hatch-Waxman has been a boon for generic manufacturers as they race to challenge the patents of pharmaceutical companies, so they are entitled to either receive payment to settle challenges or receive a right to a limited oligopoly with the pharmaceutical brand name owner. Under the guise of cheaper drugs reaching consumers quicker, Hatch-Waxman has greatly enriched generic manufacturers without the associated benefits many foresaw, and proclaim, for consumers. When inter partes reviews (IPRs) were first conceived few thought the pharmaceutical industry would face challenges to their patents in these post grant proceedings at the Patent Trial and Appeal Board (PTAB). Why would generic manufacturers use the IPR process when they have the ability to rely on the extraordinary benefits of Hatch-Waxman? That turned out to be incorrect. Thus, pharmaceutical companies now routinely see their patents challenged at the PTAB with IPRs and still face Hatch-Waxman litigation. A double whammy against innovators bringing new drugs to markets, often times life-saving new drugs that we as a society say we want. Senator Orrin Hatch (R-UT) has just proposed an amendment that would fix an important IPR problem for the pharmaceutical industry and put an end to the practice of generic manufacturers using IPRs to challenge pharmaceutical patents while still being able to rely on the provisions of Hatch-Waxman to piggyback on the efficacy research brand name pharmaceutical companies engage in, which is required before the FDA will allow a drug to enter the marketplace. Essentially, Hatch’s amendment would prevent generic manufacturers from having their cake and eating it too. Either they can piggyback on the extremely costly research brand name drug companies do, or they can run to the PTAB to kill patents. The Hatch amendment is being presented as a means to allow generics to reach the marketplace faster and cheaper. As I pointed out in a previous article, if that were the goal IPRs would be expanded for pharmaceutical patents, not curtailed. But why should the focus be on getting generic versions of patented pharmaceuticals to the marketplace? There are countless numbers of pharmaceuticals off patent, including drugs that are for one reason or another difficult to obtain. Shouldn’t Congress be more interested in incentivizing generic manufacturers to take cheaper versions of off-patent drugs to market rather than attempting to find ways to incentivize patent-busting? I have believed ever since post grant challenges were first proposed that they are, and still remain, an extraordinary mistake. It is an egregious breach of the public trust to have the same agency that grants a patent take that patent away, which is precisely what happens in IPRs. Patents must be presumed valid once issued, and the United States Patent Office needs to stand behind the work of patent examiners, not constantly second-guessing patent examiners and stripping rights away from patent owners. What was the federal government thinking when Hatch-Waxman originally passed? Why would Congress incentivize generic manufacturers to challenge the patents of pharmaceutical companies? Why single out pharmaceutical companies and create a two-tiered patent system? If it is to allow generic drugs to get to market faster Hatch-Waxman has miserably failed, and at the same time it has eaten away at the incentive structure for pharmaceutical companies to engage in the onerous and extremely costly research and development required in order to bring revolutionary, life-saving drugs to market in the first place, which can easily cost well into the billions of dollars per drug. It is the same insidious thought process underlying Hatch-Waxman that we see underlying the justification for post grant challenges of all patents at the USPTO. There are just some people who don’t like patents, who begrudge innovators protecting their innovations, and who believe those who would seek to challenge those granted patents need incentive to do so. I don’t see how Senator Hatch’s amendment will do anything to get cheaper, generic drugs to market quicker, but that shouldn’t be the focus. The focus should be to rescue innovators from the clutches of the PTAB killing fields. While it is my belief that such a solution is preferable to apply to all patents, I am certainly not going to begrudge the pharmaceutical industry from championing a solution for themselves. 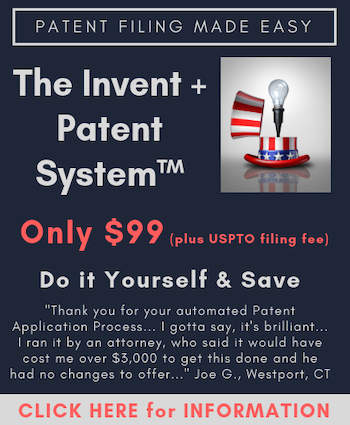 I just wish a PTAB solution could be achieved for all patent owners. I apologize for the off-topic comment, but I have come across the case dealing with 35 USC 101 which uses the phrase “classic common law methodology” for what is being applied by the courts – as well as being applied by the administrative agency of the executive branch. the approach employed by the Supreme Court. See Alice, 134 S.
Ct. at 2355–57. We shall follow that approach here. Amdocs (Israel) Limited v. Openet Telecom, Inc., 841 F.3d 1288, 1294 (Fed. As I have often noted, patent law is not like other forms of law (such as torts), to which common law is an open invitation. Unlike other law, patent law has been expressly designated to only one branch to write: the legislative branch. Now it is well understood that the legislative branch may – upon careful and constrained conditions – may share its power to write law. 35 USC 101 is NOT one such area. To the extent then, that any such “classic” law writing is going on, the law so written is ultra vires.